"Zombie" redirects here. For more uses, see Zombie (disambiguation). Necromancy is never a pretty sight, and this mouse is no exception. Forever doomed to stalk the earth, its hunger for cheese is insatiable and its power almost limitless. All mice have a weakness, but how do you kill something that's already dead...? The Zombie Mouse is known to drop Brain Bits in any location when hunting with the Limited Edition Brain Extractor or Maniacal Brain Extractor traps or Skello-ton base. No Charms are required to attract the Zombie Mouse. Arming Brain Charm or Super Brain Charm increases the chance of encountering the Zombie Mouse. Attraction info and special event loot drops for the Zombie Mouse can be found at the individual event location pages. 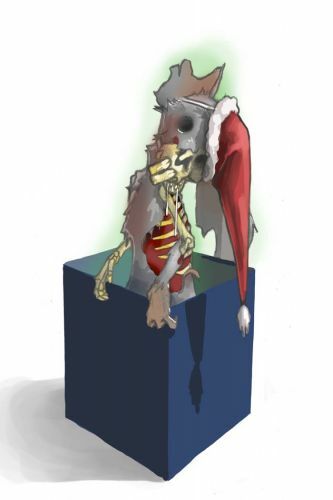 8 June 2010: The Zombie Mouse began dropping the Tattered Mousoleum Map in the Town of Digby instead of the Laboratory. 17 April 2011: The Zombie Mouse began dropping the Stripy Red Egg as loot in the Forbidden Grove as part of the Spring Egg Hunt 2011 event. 19 April 2011: The Zombie Mouse began dropping the Scalloped Pink Egg as loot in the Bazaar as part of the Spring Egg Hunt 2011 event. 25 June 2013: The Zombie Mouse gained a vulnerability to Law power type traps with the release of Varmint Valley. 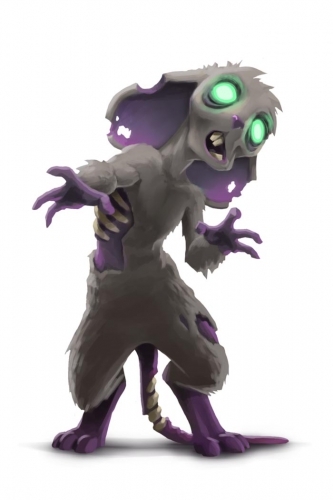 25 March 2014: The Zombie Mouse gained a vulnerability to Rift power type traps with the introduction of the Rift Plane. 17 October 2018: the Zombie Mouse was removed from the Laboratory. This page was last edited on 7 April 2019, at 11:27.